For a new technology company, innovation is not just the province of R&D. You may have a crack research-and-development team, but that doesn’t mean it should be the company’s only source of innovation. Indeed, the pipeline of ideas likely will gush more bountifully if you find ways to stimulate everyone’s creativity. The big prize that awaits the champion team. One business taking that notion to heart, and then some, is SkyTouch Technology, presently a wholly owned division of Choice Hotels and a candidate for a spinoff and an initial public offering at some later time. 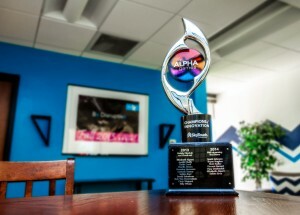 The organization conducts a twice-yearly, hoopla-filled competition for new ideas that it calls The Alpha Games, a moniker that blends the high-energy, popular multimedia franchise “The Hunger Games” with the notion of alpha testing. SkyTouch is in business to sell Choice’s property management system to independent hotels and other chains. In fact, for the past year, Choice — a franchisor of some 6,000 hotels and owner of brands like Comfort Inn, Quality, Sleep Inn, Clarion, EconoLodge and Rodeway Inn — has acted as a SkyTouch customer. It is entirely possible for, say, a five-person, very focused team to flesh out an idea, even one that envisions a new use of complex technology, into a working model during that short time span, says SkyTouch president Ric Leutwyler. A six-person team organizes the components of its idea on a wall. As an example, he pointed to an idea generated by an employee who’d had prior experience in property support. It was based on a simple premise: How can we let guests take control of the check-in process using their own mobile devices? “That’s not the biggest idea in the world, but how would we make it happen with our [technology] platform?” says Leutwyler. The employee “didn’t know anything about how to do that,” Leutwyler says, and was so new to SkyTouch that she didn’t know who the right teammates would be. So one of the people involved in championing the games connected her with four programmers, a database analyst, a marketing specialist and a product manager. On the day of The Alpha Games, they went to work on creating a user interface — what the app would look like, how guests would interact with it, how it would interact with a key-lock system, how it would use near-field communication. One of the coolest ideas was about using Google Glass to enhance the housekeeping process. Last year when Google held its initial, one-day-only sale of the device, one of SkyTouch’s tech geeks bought one. On the Monday after The Alpha Games, the employee and his team were able to show a video they had recorded using Google Glass. “They had set it up so that if a housekeeper was walking down a hallway and passed Room 317, data would instantly show up in the Glass: The guest is Ric Leutwyler, he’s checking out today, and by the motion sensor activity in the room we can tell no one’s been in there for several hours, so you should go ahead and clean that room,” Leutwyler says. Then there was a little flashing red light and the message: change of plans, clean Room 320 first because another guest has arrived and that room has to be turned around right now. The team also set it up so that the user could simply tap the side of the Glass to indicate to the property management system that the room was clean and the guest could check in. That team won the grand prize at the most recent Alpha Games, but the idea is on hold indefinitely. It was ahead of its time. At the price of Google Glass today, no hotel would buy the devices for its whole housekeeping staff. But over time, as it inevitably becomes less expensive to produce them and their cost comes down, doing that might be more feasible. “We were able to think ahead so that we would be prepared when the market catches up,” says Leutwyler. Most of the ideas involve leveraging technology, but there are exceptions. 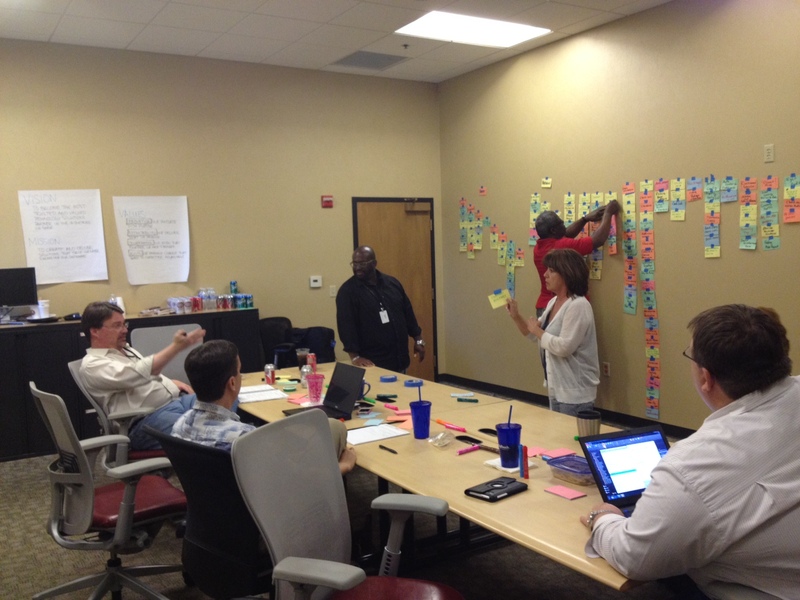 One, for example, envisioned a better onboarding process for new employees, aimed at creating a more service-oriented culture. That new process was actually implemented within 30 days of the Games. Each new employee is assigned to a designated “SkyBuddy,” who contacts the person before his or her employment begins, introduces the person around the company, sits in on orientation meetings, and acquaints them with employee programs like yoga instruction, offered each Wednesday before lunch. Also, a new series of web presentations, using Presio and other tools, shows different types of employees how their role fits into what SkyTouch does. At the most recent Alpha Games, two companies that had shown interest in being innovation partners with SkyTouch were allowed to participate. For the next one, there are plans to invite some customers as well. Since ideas from the Games will be developed and implemented over various time frames, pinning down their ultimate financial impact is a guessing game. “But if I had pick a number, I would say that if the Games didn’t make at least a 10% difference over three to five years, I would be very surprised,” says Leutwyler.